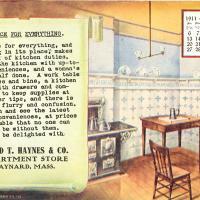 A total of 217 post cards are in this Maynard Post Card Collection. Categories of Post Cards include Assabet River/Dam; Mill; Churches; Main St. Scenes; Car Barn; Boarding Room House; Maynard Rail Road Station; and Schools. Most cards range in time from 1904-1917. A sampling of pictures include: Maynard High School, Roosevelt School, MainStreet School, Nason Street School, and Bancroft School; the Assabet and Middlesex House, Maynard Car Barn, Maynard Railroad Station (inside and outside), the 1911 rail road wreck, and the Assabet Mills. Miscellaneous post cards are from the Harriman Laundry, Alfred T. Haynes, and the Batley Greenhouse. Others are Maynard centric cards (one made of leather), and one is entitled a souvenir post card addressed to the Main St. School, Maynard, Mass, 1920 ca. 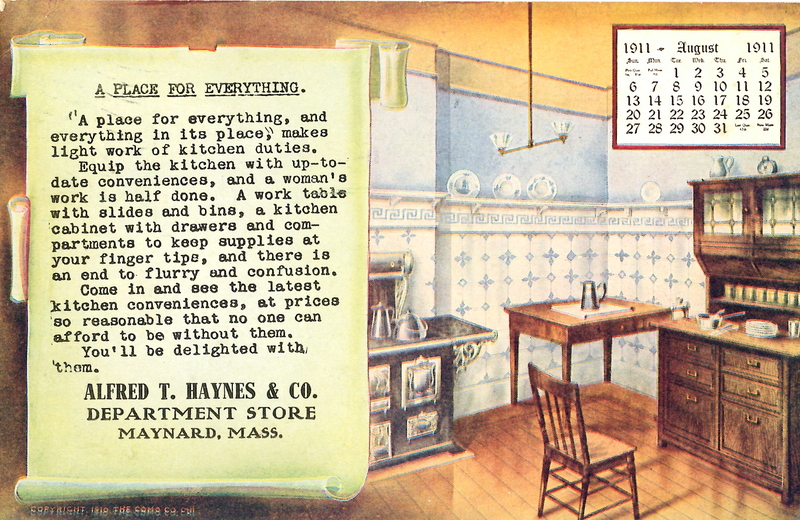 “Post Card Collection - ca 1905,” Maynard Historical Society Archives, accessed April 25, 2019, http://collection.maynardhistory.org/items/show/6701.